The Temperance Movement come to Belfast on 28th February 2018 to play a gig in The Empire Music Hall. The show is part of a European tour that commences on 19th February, just three days after the release of their latest album entitled “A Deeper Cut”. The album is released via Earache Records. The track “Caught In The Middle” is included on the Friday NI Rocks Show this week (uploaded 25th Jan). Check out the band’s website for info on the tour and the album. Following a whirlwind few years in which they released two Top 20 albums, toured around the world and shared the stage with rock megastars The Rolling Stones. The Temperance Movement are finally back, having been hard at work behind the scenes preparing for an even bigger year in 2018. The band's eagerly-anticipated new album, 'A Deeper Cut', is due to be released on February 16th, 2018 and features 12 brand new songs which draw on the band's recent experiences and showcase their ever-improving songwriting abilities. "This is my favourite record we've made so far and I'm more excited about getting this out there than I have been about any of the previous albums," states guitarist Paul Sayer. "I feel like we've really captured what the band is about on this one; I can't wait for people to hear it and I can't wait to get out on the road and play it live to everyone." 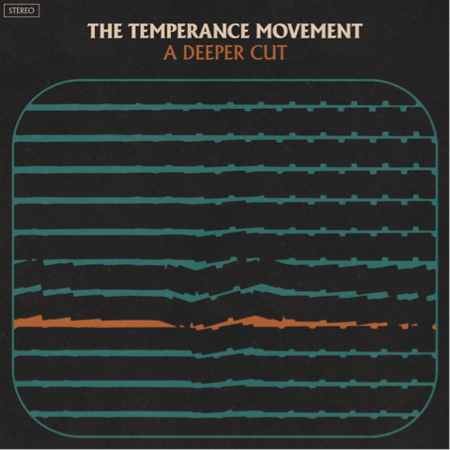 Guitarist Matt White, who makes his recording debut with THE TEMPERANCE MOVEMENT on 'A Deeper Cut', adds: "There isn't an ounce of fat on this album. Everything that is on there happened because it was absolutely necessary and vital that it was put down. It's both a nod to the past and a wink to the future. It was a pleasure to be involved in writing and recording with The Temperance Movement for the first time. I feel that together, with [producer] Sam Miller, we have surpassed any expectations that were placed upon us and that we have produced the finest body of work from the band to date." 'A Deeper Cut' is available for pre-order now on limited edition signed digipak CD, regular digipak CD, regular vinyl, and limited edition signed coloured vinyl.